The flag that the child’s waving is the Palestinian flag. 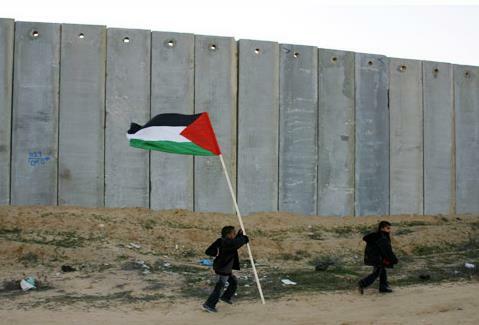 This internationally-criticized wall/barrier has been set up by the Israeli government. I closed my 2012 by reading “The Boy in Striped Pajamas”. I also watched the movie right after. The fiction, in itself, is very sad. What’s even sadder is knowing that fictions like these have happened and still do happen up to this day. It’s heart-breaking, really.